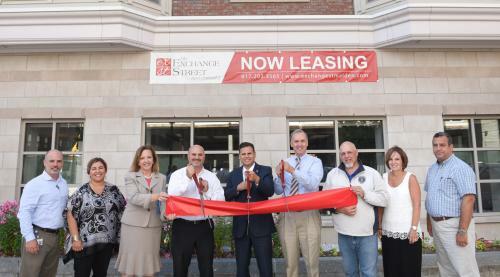 Mayor Gary Christenson recently participated in a Ribbon Cutting Ceremony at the new transit oriented development owned by Combined Properties located at 100-150 Exchange Street Apartments. 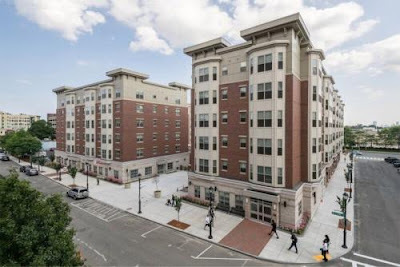 Designed to mirror neighboring residential community at 160 Pleasant Street, the Exchange Street Apartments offers another living option in the heart of Malden Center featuring 210 residences: a mix of modern studios and one and two bedroom suites just steps to the MBTA rapid transit Orange Line. Onsite parking and 1,610 square feet of retail are also available. Apartments feature stainless steel appliances, energy efficient washers and dryers, stylish fixtures and lighting, roomy closets and expansive window lines. 100-150 Exchange also features common area amenities such as a fitness center, business center, and a media center. For more information, please visit www.exchangestmalden.com.